Some years ago, journalist Bill Carter found arsenic in his family's garden. It was there because of local copper mines. That prompted him to delve into the hidden dangers of copper—"the metal that runs modern civilization." He will be here to answer your questions, below. 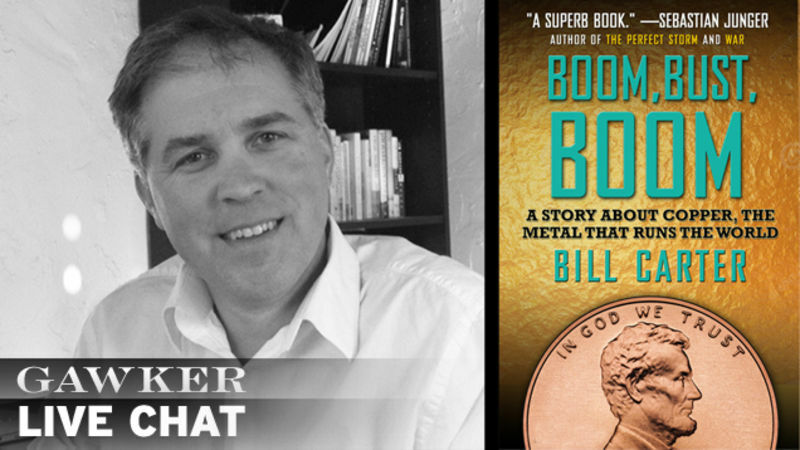 Last night, Bill Carter—late-night television guru and author of The War for Late Night—stopped by for a chat with Jimmy Kimmel. Immediately, Kimmel took issue with the unflattering physical description of him in Carter's book. Their exchange, inside. 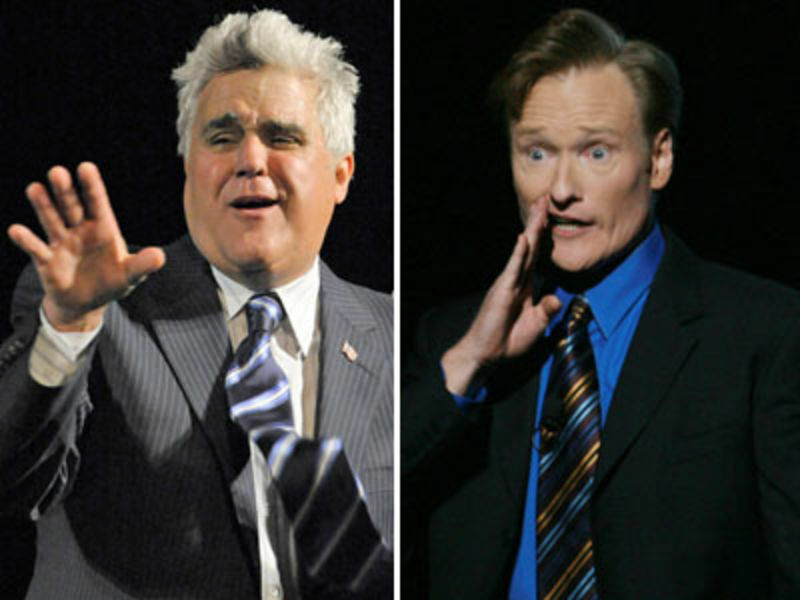 You think it's easy getting Oprah Winfrey, Jay Leno, and David Letterman in a room together to tape a 15-second gag for the Super Bowl? Then you're wrong! This thing took private jets, corporate rescheduling, even espionage! John Michael Higgins isn't a household name, but you've probably seen him acting in Christopher Guest films and/or as Wayne Jarvis on Arrested Development. He also portrayed Letterman in The Late Shift, something he says Letterman still hates him for. 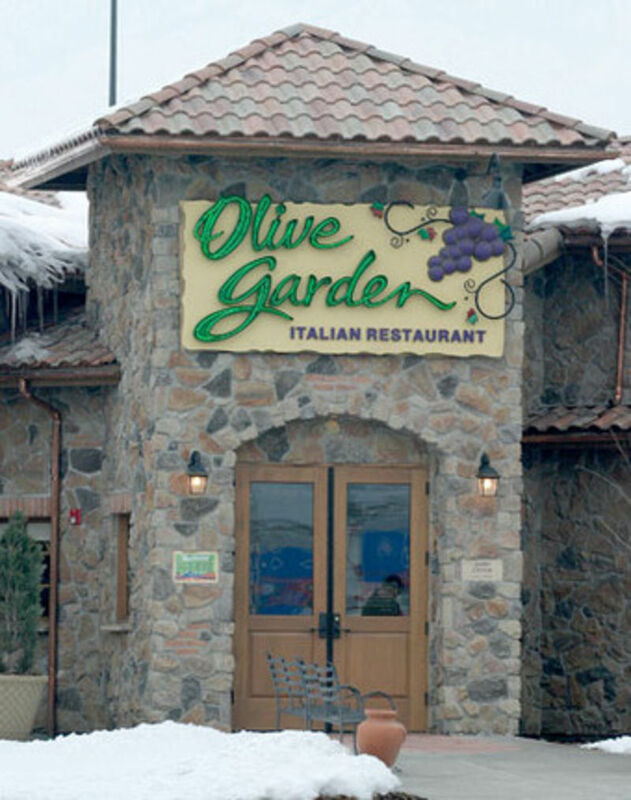 A controversy erupted Thursday afternoon when Politico reported that Olive Garden was pulling its Late Show advertising in the wake of the controversy over Letterman's Palin jokes. Olive Garden then denied this. Regardless, the "Fire Letterman" crowd wants more blood. Brian Williams: Double the Fun? Given the questions that have been raised over the years about the ties between New York Times reporter Bill Carter and NBC management, it's a bit of a wonder the paper still permits him to churn out puff pieces about the network. But they do, and so today Carter happily reports that NBC News "is making a pile of money" and the NBC Nightly News with Brian Williams is doing so fantastically well that Steve Capus, the president of the division, is now thinking about becoming the "first network to expand to a full-hour newscast." There's a great idea! Now instead of not being home to catch Williams from 6:30 to 7pm, you can miss an extra half-hour between 6 and 6:30pm, too. The persuasive evidence supporting this winner of an idea is below. ABC might move Jimmy Kimmel Live to compete with Conan O'Brien's Tonight Show, the New York Times is reporting. ABC is pissed about the story. 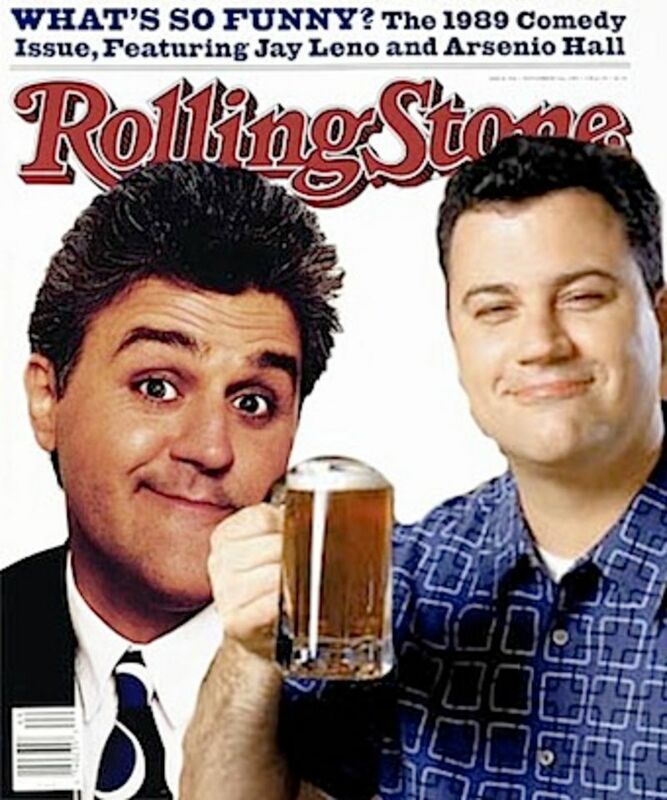 But it gives Kimmel reason to smile. 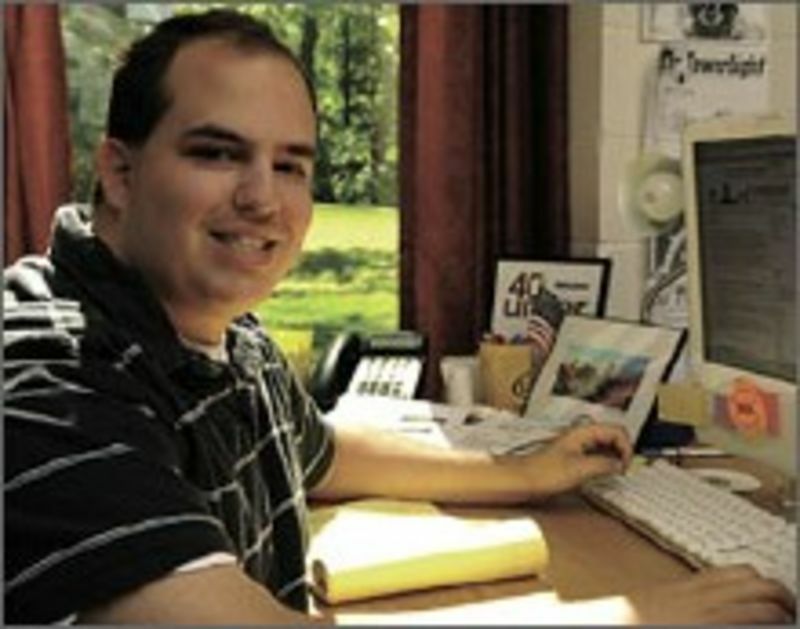 The veteran New York Times TV-industry reporter has to contend with the newspaper's boy wonder, Brian Stelter. Anecdotes? As we mentioned earlier, Fox News anchor Shephard Smith is raking it in, to the tune of $7 million per year in a recently-inked deal with his network. According to today's story from New York Times media reporter Bill Carter, "Mr. Smith would be making more than anyone at CNN—if reports of $5 million for Anderson Cooper and $6 million for Lou Dobbs are accurate." Did Carter forget that in 2002, the Timesran a piece in 2002 about CNN talkshow host Larry King's potential $14 million salary? Perhaps. Harder to believe is that he forgot the piece the Times did way back in 1998 about King's earnings, which the paper reported at $7 million. He wrote it himself! Cranky T.V. reporter Bill Carter's new cubicle. Over time, we get to know our commenters fairly well. There are some we know and love! Some we know and find mildly amusing. Some we don't know and are afraid of. Then there are the ones—or, the one—who seem to arrive only to defend the New York Times. Let's meet our commenter Urnidiot! Is s/he—we're kinda going with he!—a Times employee? 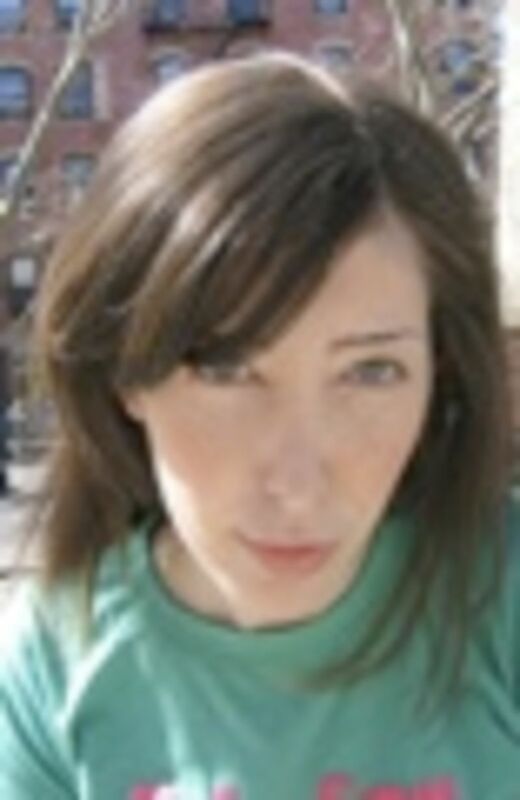 Married to a Times employee? Let's go to the evidence! Will Bill Carter Tell Ex-TV Newser Brian Stelter To Step Off? Brian Stelter, the wunderkind who used to blog for millionairess Laurel Touby's Mediabistro as TV Newser, was hired last month by the Business desk at the New York Times to "cover the media world." When the hiring was announced, it also came out that Touby would enforce Stelter's non-compete clause, and so he's not allowed to write about cable news in blog form for six months. Covering "the media world" is a pretty broad beat—it could mean anything, really! 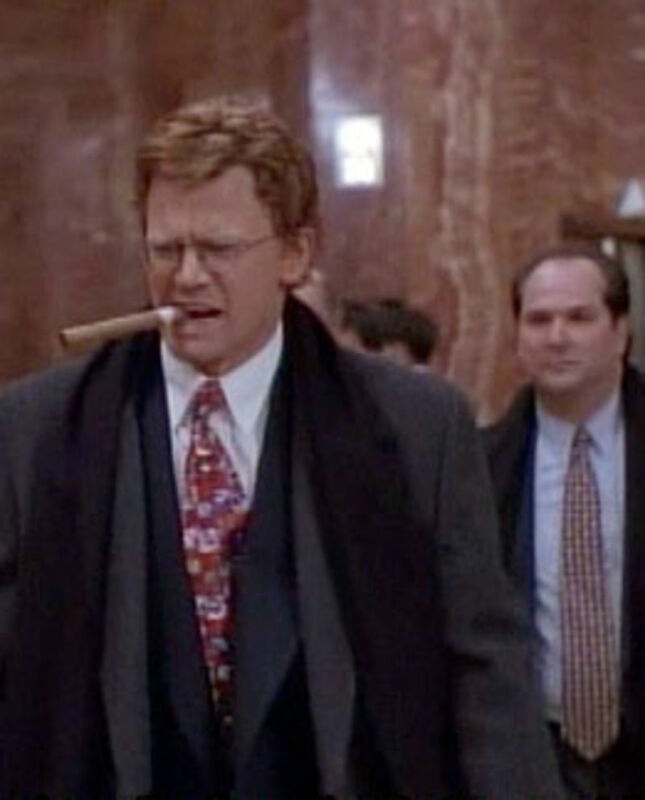 So we wonder how Times TV alter kocker Bill Carter feels about Stelter's maiden effort today. At first glance, it seems like Stelter's treading awfully close to Carter's turf! Bill Carter And NBC Prez "Dear Friends"
New York Times T.V. industry reporter Bill Carter, who we assume is out west, terrorizing the Beverly Hilton at the Television Critics Association gathering, gets a thrashing by Radar today. The angriest man on the T.V. beat either misrecollected or lied to Radar's John Cook when being asked about his friendliness with a major T.V. 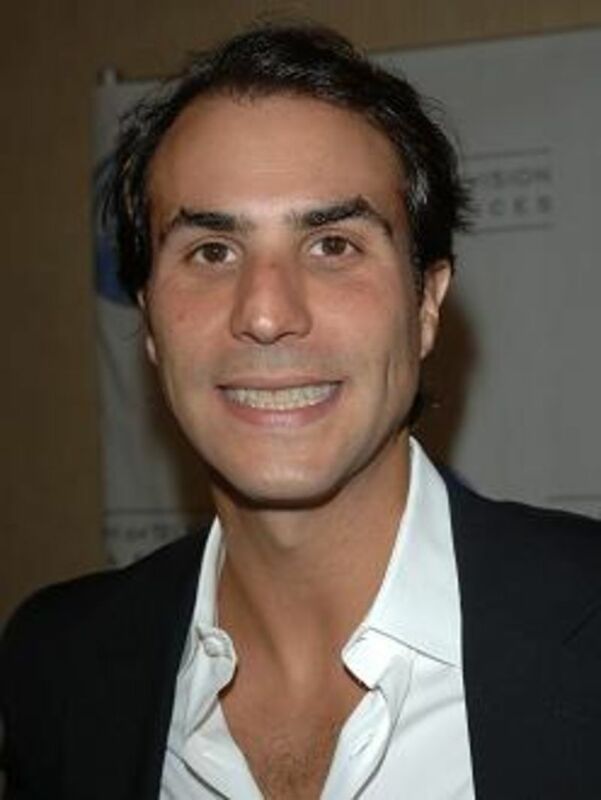 player, NBC/Uni co-chairman Ben Silverman. Caveats first! A good bit of chumminess isn't surprising on the T.V. beat—these are people who have to talk regularly, sometimes daily, and also sources often mistake or conflate professional interest with personal. (Also? Everyone in L.A. thinks you're their "friend." Gag.) But? 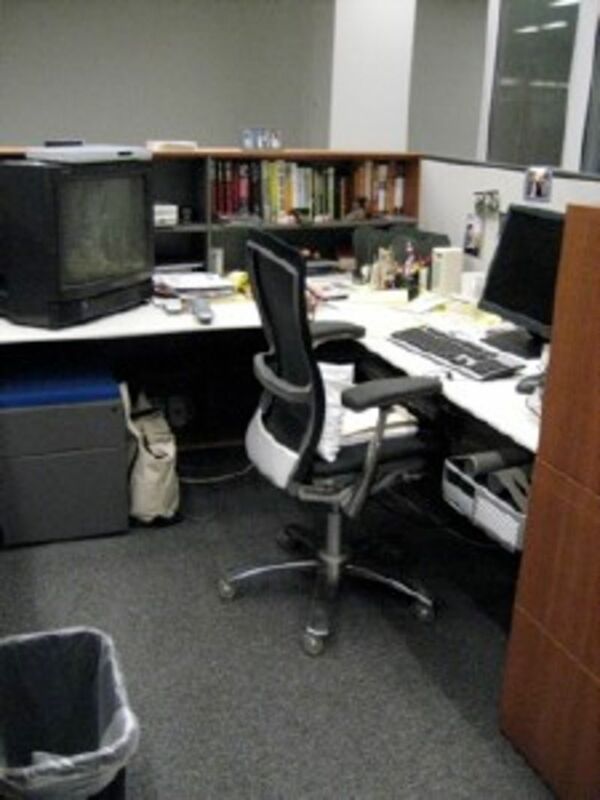 Now that every department at the New York Times has moved into the new building, you're probably wondering where everyone has gone! So let's go floor-by-floor, shall we? And as we work our way up, we'll see who really matters in the Times organization. 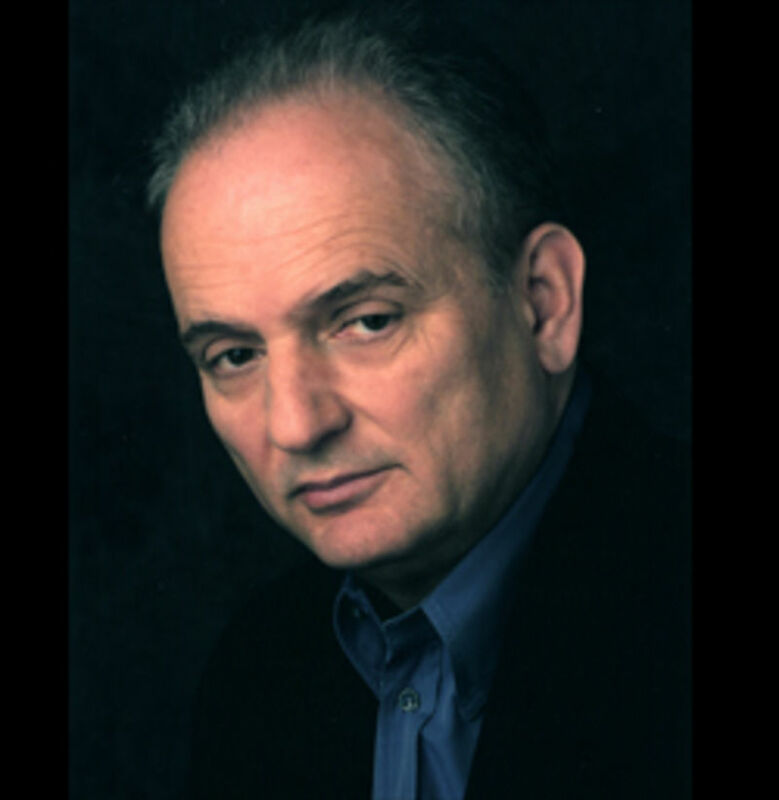 In today's New York Times, television business reporter Bill Carter explains that he wasn't able to interview menacing-looking Sopranos creator David Chase after the final episode because Chase had "told publicity executives at HBO that he was leaving for France and would not take any calls asking him to comment about the ending of his classic television series." Oh, really? What about the superb interview Chase gave to the Star-Ledger on Sunday night? Who's Winning The Battle Of Hollywood? The Wall Street Journal's Brooks Barnes has just been seduced by the New York Times, it'll be announced soon— and also by Los Angeles. From out there, he'll cover the film industry for the New York Times's Biz section. This will be much-needed reinforcement in the paper's battle with the LA Times—for years, New York was gaining an upper hand. But recently, things have not gone well for our hometown paper on that other coast. For one thing, arts and television reporter Edward Wyatt has been dying in Los Angeles.